My parrot, my DH claims, is not an Australian one as it’s the wrong colours. I’ve no idea where I saw it on the web but I think he looks okay and I’ve no intention of redoing it. I think the bird is offended that I got it wrong. I’ve stitched the bird with single strands of DMC, using Satin and Long and short stitches for body and head, close fly and a couple of long straight stitches for the tail. I used No.65 CQ block from Sharon’s ‘I dropped the Button Box’ quilt, freely shared, which you can find here It is so easy to make these blocks as the hard work has already been done by Sharon. Beautiful block! 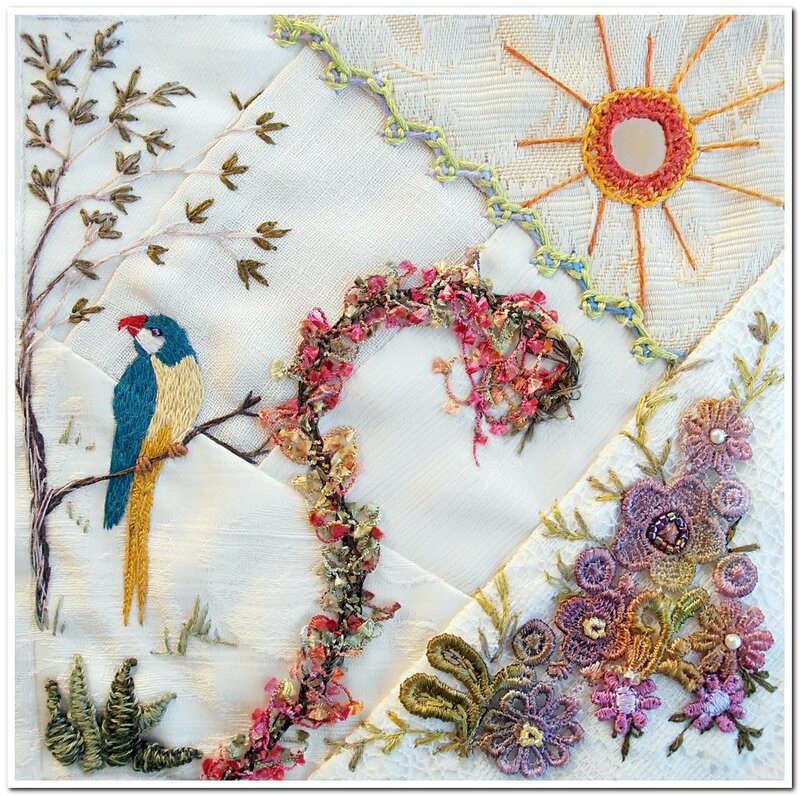 Love the parrot and sun..the lace looks very pretty.Is it a hand-dyed one? Anita, I dyed the lace.. one of the times it worked for me.